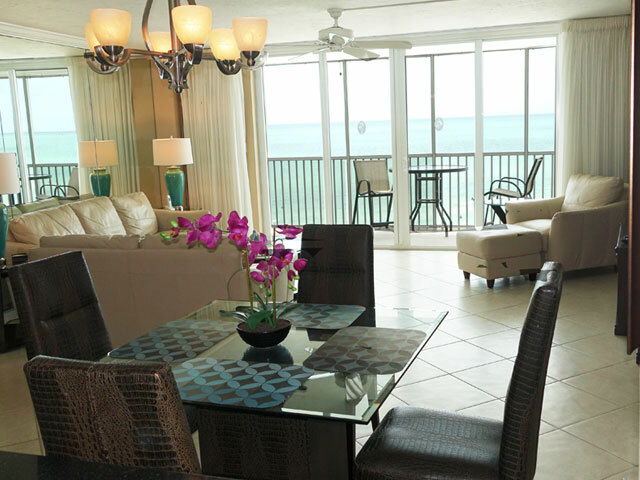 Enjoy the best of Crystal Sands in this contemporary condo overlooking the Best Beach in America. 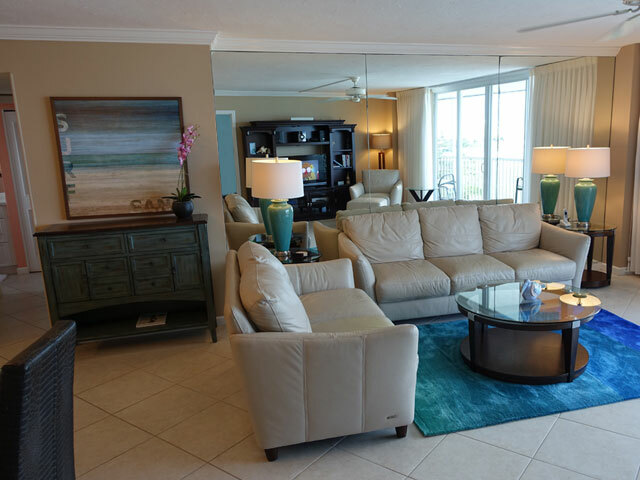 Enjoy the best of Crystal Sands in this beachy, contemporary 2-bedroom, 2 bath condo overlooking the 2011 and 2017 Best Beach in America. 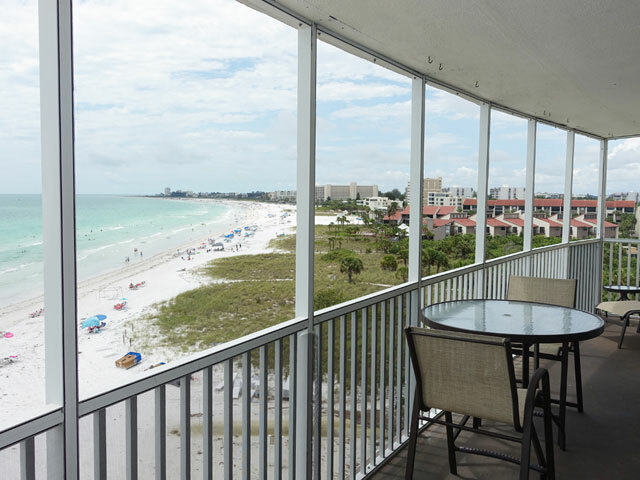 Directly facing the Gulf of Mexico, this 7th floor condominium offers one of the most fabulous Gulf views on all of Siesta Key. 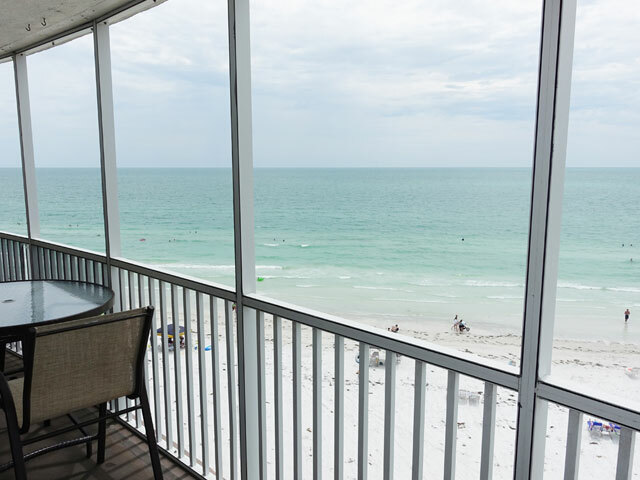 Play your favorite trop rock music on the Bluetooth stereo or open the sliding glass doors onto the 32-foot lanai and hear the soothing sounds of waves washing onto the shore. 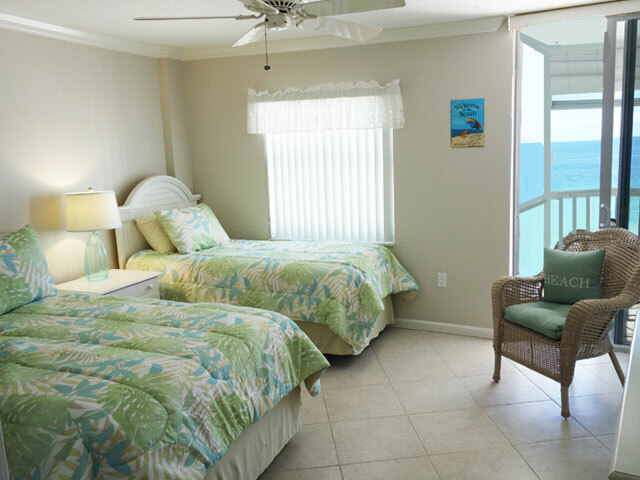 The updated interior brings the beach feel inside with colors selected from an evening sunset. 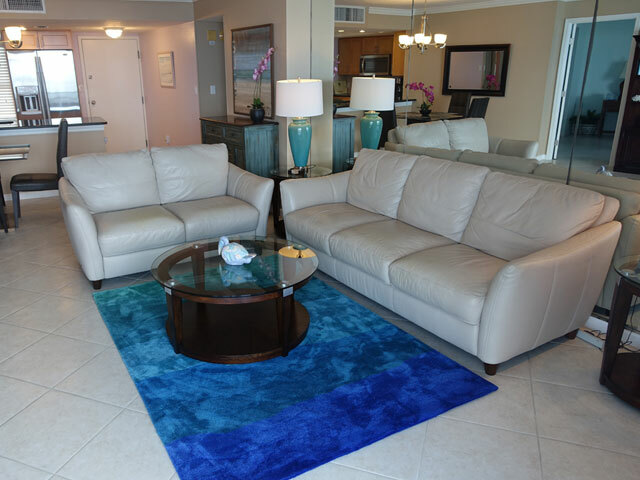 Snuggle up on the soft couch or love seat watch TV on one of the unit's 3 flat screen TVs. 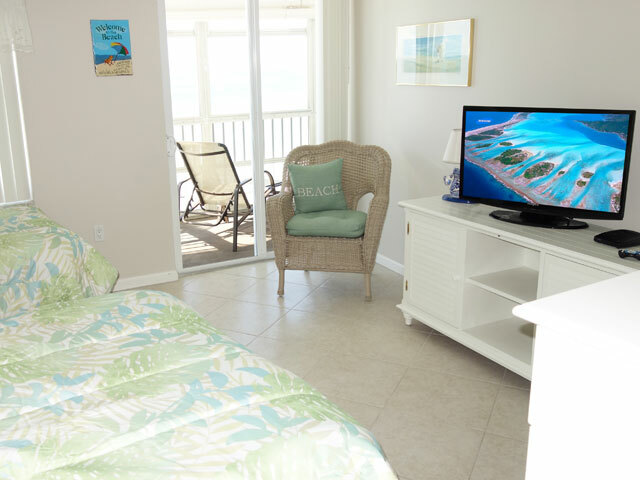 Don't worry about missing beach time to watch your favorite show. 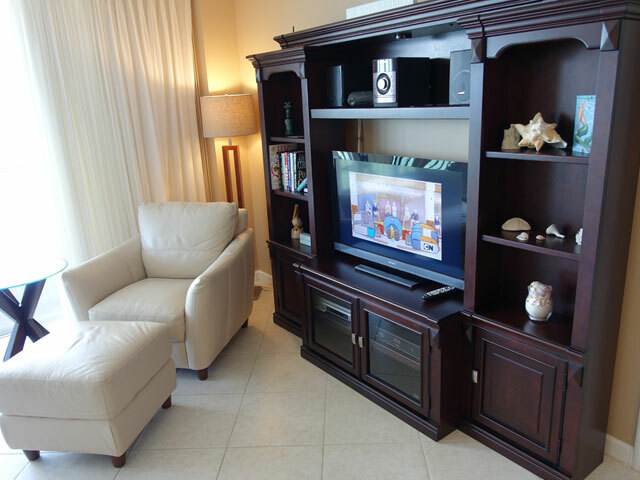 The HD cable service includes a DVR in the living room. 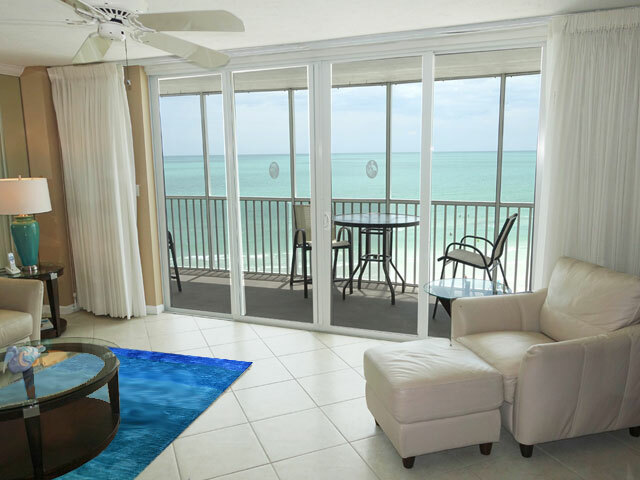 Other amenities are high speed fiber optic internet service (FIOS) a Bluetooth stereo player, and DVD player. This is a Gym Membership Unit. 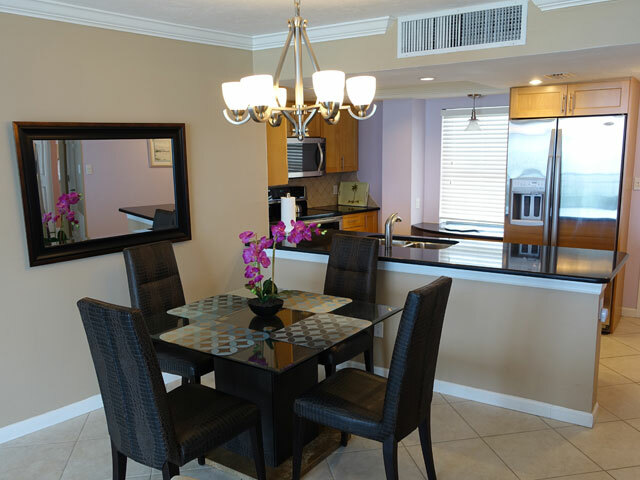 The fully equipped kitchen features quality stainless steel appliances, a small desk for planning your stay, and granite counter top facing the Gulf of Mexico and the million-dollar view. 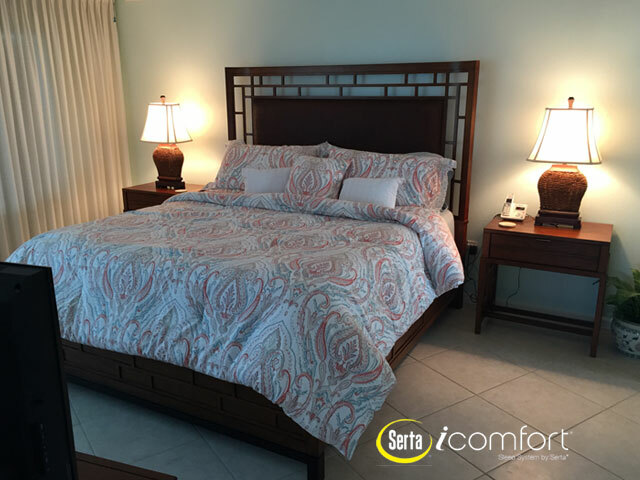 The master bedroom features a Tommy Bahama king size bed with a top-of-the-line Serta icomfort mattress, walk-in closet, shower and 2 vanities. 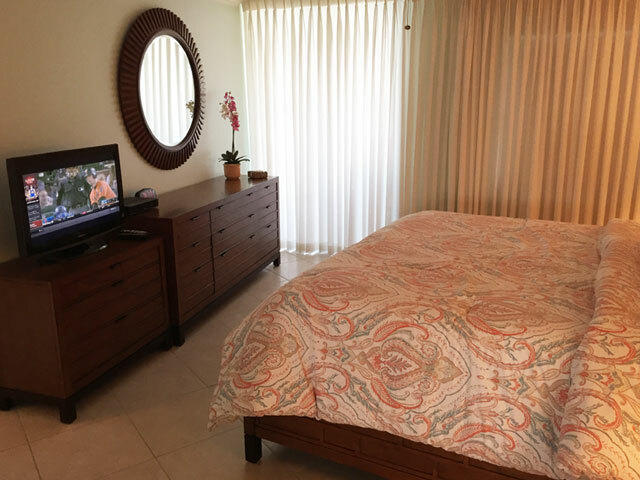 The guest bedroom has a walk-in closet, a full size bed and a twin bed. 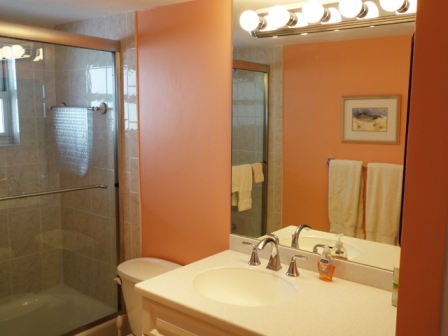 The second bathroom has a shower with a tub. 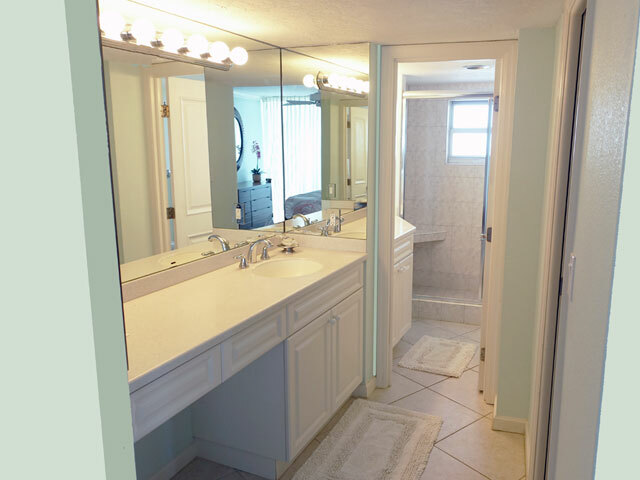 Each bathroom includes a hair dryer. 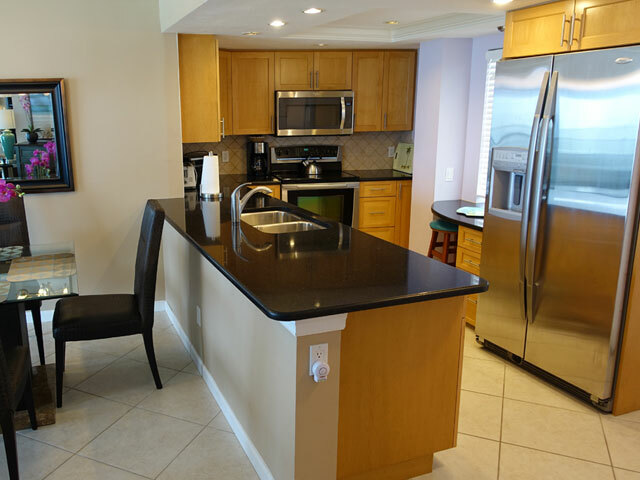 A separate laundry room houses the washer/dryer. Don't miss this opportunity and reserve (2 week minimum) today!